Treating Psoriatic Arthritis of the Spine | Dr. Stefano Sinicropi, M.D. Psoriatic arthritis is a degenerative condition that tends to develop in larger joints in the body, like in your hands or feet, but it can also cause problems for your spine. The condition is linked to psoriasis, in that about 1 in 3 people with psoriasis will develop the condition. Below, we take a closer look at the condition, how it can affect your spine and how it is treated. Left untreated, psoriatic arthritis can lead to psoriatic spondylitis, which involves inflammation of the joints between your spinal vertebrae. It can also lead to sacroiliitis, which is categorized by inflammation of the joints between your spine and pelvis. Both these conditions can bring about more pain and discomfort, and they can lead to shifted discs or altered gaits, which are even harder to treat. There are many similarities between psoriatic arthritis and ankylosing spondylitis, as they both cause pain and stiffness in the spinal joints. 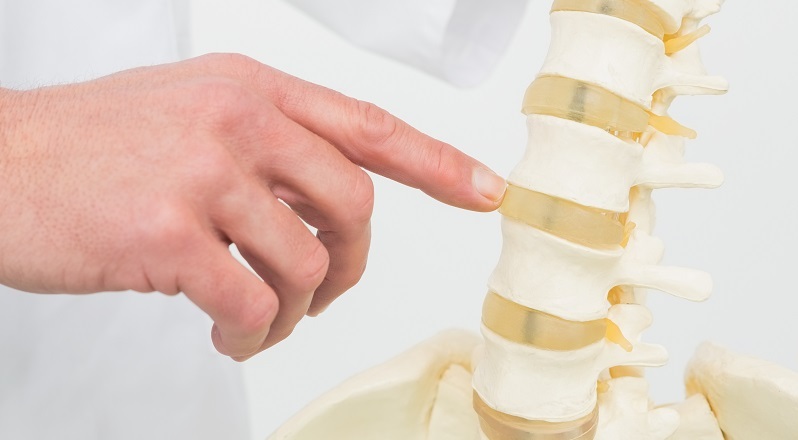 To determine exactly what you’re dealing with, a spine specialist will conduct a physical exam, review your medical history, take imaging exams and may review blood samples. This will help determine if you’re dealing with the autoimmune disease and the extent of the condition. The sooner you get the condition under control and start treating it, the better your psoriatic arthritis responds, so don’t ignore symptoms. If you believe you’re dealing with psoriatic arthritis, or you’ve been diagnosed with psoriasis and you want to consult with a spine specialist to stay out in front of the condition, reach out to Dr. Sinicropi’s office today.